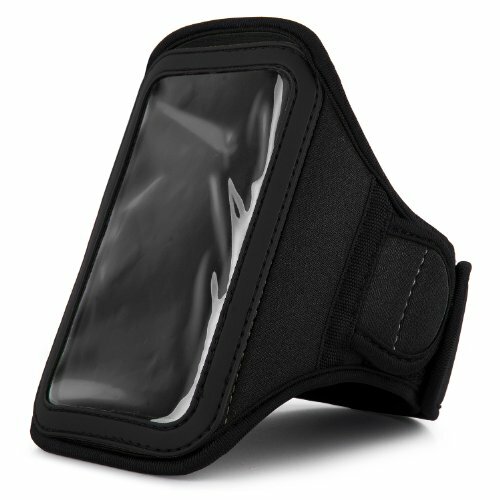 The VanGoddy Sweat Resistant Neoprene Armband is a must have for any fitness enthusiast or anyone simply looking for a hands-free cell phone carrier; this armband features double layered Neoprene construction for added comfort and durability. This armband features sweat resistant lining for protecting your phone from unwanted moisture, a key slot on the back makes going out for a quick run simple and worry-free. Also featured is an included extender piece for larger biceps and a dedicated ear phone organizer with strapping. If you have any questions about this product by Vangoddy, contact us by completing and submitting the form below. If you are looking for a specif part number, please include it with your message. Elegant OEM VG Brand (Black) Armband with Sweat Resistant lining for HTC Droid Incredible 2 3G Android Phone + Live * Laugh * Love VanGoddy Wrist Band!!! Elegant OEM VG Brand (BLACK) Armband with Sweat Resistant lining for Sidekick 4G Android Phone + Live * Laugh * Love VanGoddy Wrist Band!! !